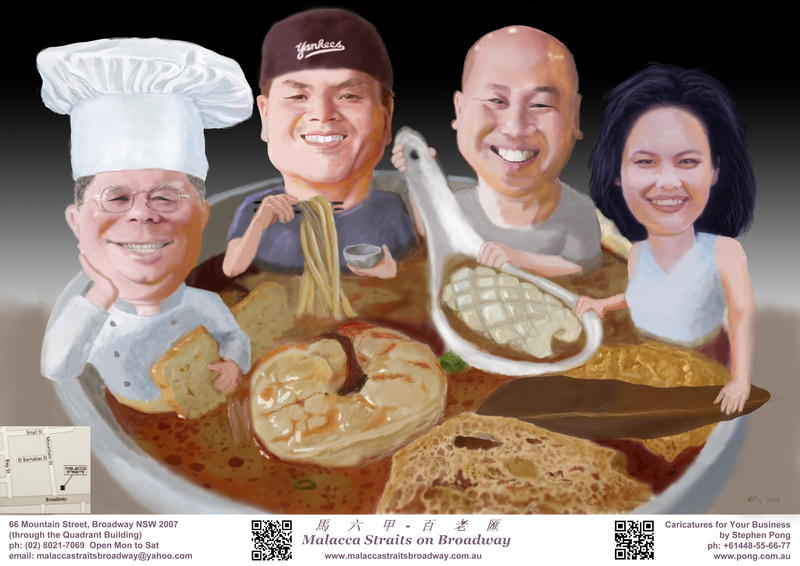 This "Malacca Straits" caricature was done from photos on digitizer tablet. It took about 1 week. I tried to combine the staff with their signature dish by having them interact with their Laksa. Hope you would find the prawn, squid, bean curd, fish ball slice, immersed in the Laksa sauce, look appetizing.